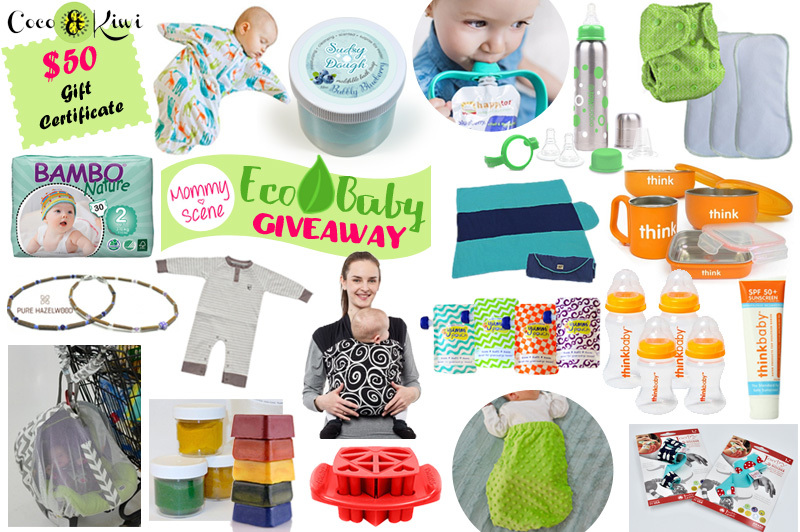 This green-themed Eco-Baby Giveaway features everything a baby could need for diapering, feeding, naps, clothing, sensory play, and travel! It's sponsored by Mommy Scene and features prizes from 16 sponsoring brands, each offering unique products to help make life a little simpler and more Eco-friendly for families with little ones. Check out all the innovative products below and enter to win the entire gift set! I think these are all awesome, but I really like the Thinkbaby Starter Set! I have a baby on the way, and would love to try these out! I most want to win the Buttons Diapers for my new grandbaby. I would love to win the silkberry romper the most! I would love to win the poncho baby organic roly blanket. I would be most excited to win the Button's Diapers. However, I would feel blessed and excited to win any of these awesome prizes! Fingers crossed! I am really excited about the Liliputi.